Rick Perry the Governor of Texas was inaugurated for his 3rd term on the 18th. His remarks Tuesday were dead on as usual. At about the 3:30 mark in the video is where Governor Perry begins the main portion of his speech. Although Texas has not experienced the gigantic troubles that many states have they still have a large deficit this year. However they are handling it the right way by cutting expenses which is a crazy concept isn’t it? As a Tennessean I hope that newly elected Bill Haslam can accomplish half as much as Perry has. 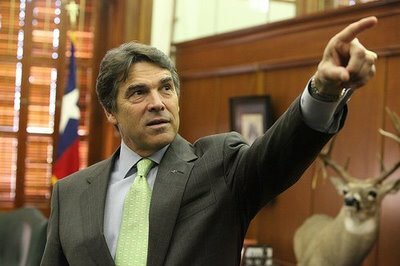 Perry is very popular all across the country and he has been making appearances all over the U.S. promoting his book, but unfortunately he has denied having any interest in running for president. I definitely hope this changes because Perry would be a great candidate. 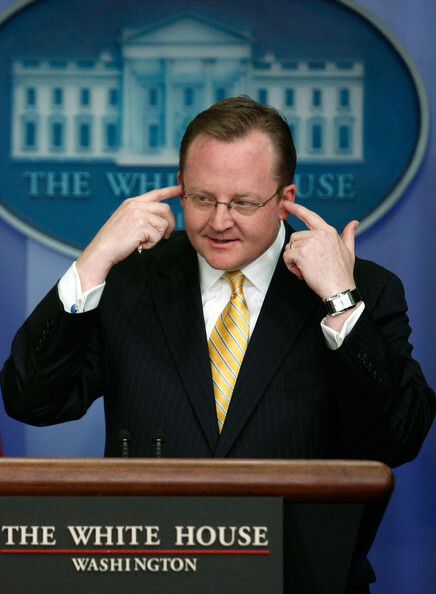 Press Secretary Robert Gibbs said yesterday that, “There’s no doubt there are enough seats in play that could cause Republicans to gain control — there is no doubt about that. This will depend on strong campaigns by the democrats. “ Gibbs who just a few months ago was making fun of Sarah Palin doesn’t seem to be so full of jokes lately. In the same day we have someone in Obama’s administration claiming that there is a chance Republicans can take control of the House. While we also have Democratic governors all across the country worried that the administration’s lawsuit against against the state of Arizona is going to hurt their party in November. Democrats are scared and they should be…and I could not be happier.